This was an oil painting that was done in my cousin honor. His name was Johnny Williams he past away in 2004. I did this piece on how i seen his spirit. It was done with Winsor and Newton oil paint, on a 24"x30" canvas. This is a piece I did on a 30"x36"x2" duck cotton canvas. I used all professional artist oil paints. 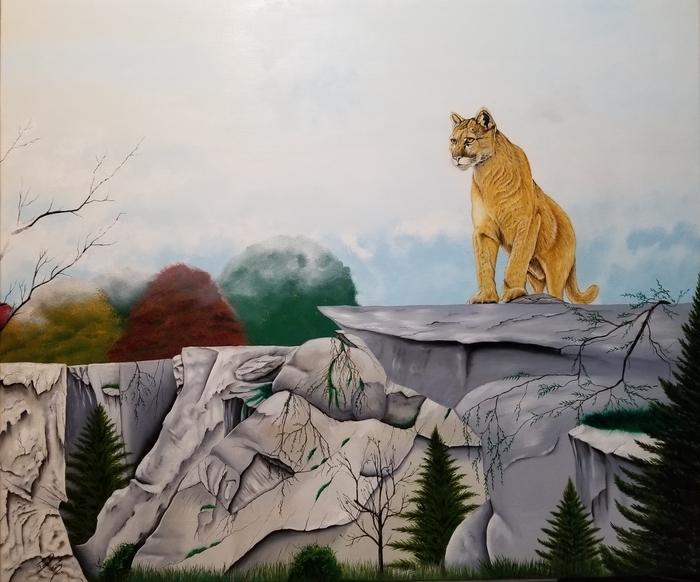 This piece is of a mountain lion coming to meet the morning. Watching the fog burn off his domain fall of the year. 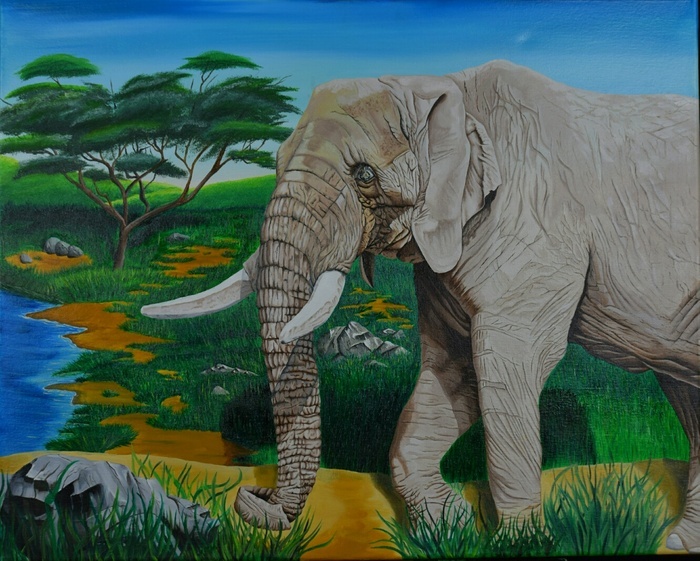 This is a piece i did of a elephant at Asheboro Zoo in N.C. 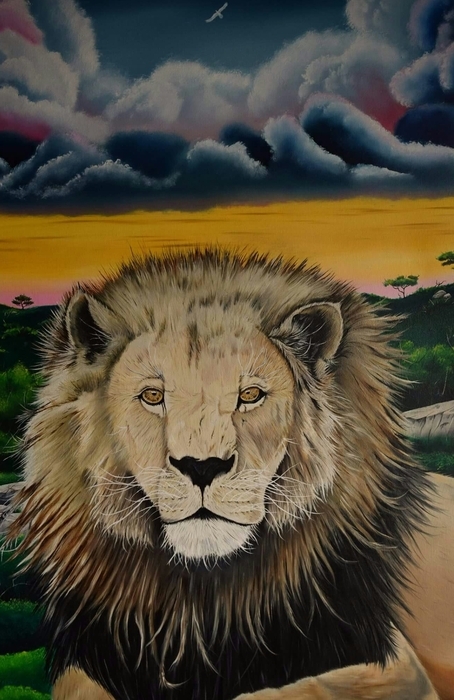 I paint animals at are zoo and place them open. I used Winsor Newton oil paint on 24"x30" canvas. 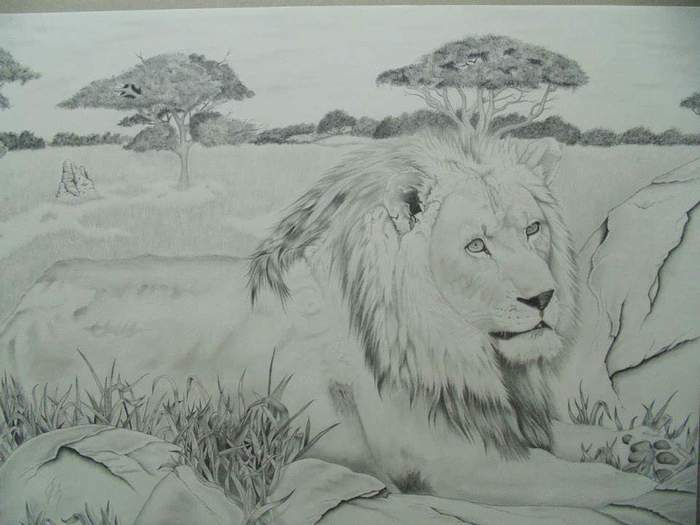 This is a drawing i did of a male lion. He was relaxing by a tree at Asheboro Zoo. I feel i he need to free on paper. This took me about 5 month to get it the way i wanted it. I used Drewent graphite pencils on 400 series paper. The original is 18"x24" but with matt and frame it 24"x30". It was name after my wife. She took the picture. 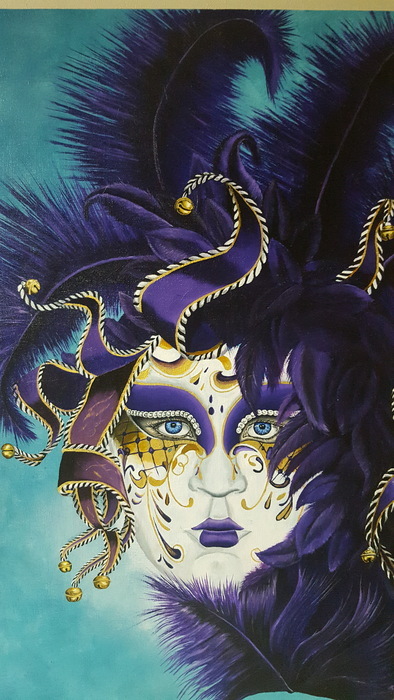 This was a piece i did thinking about a Italy artist that works with mask. I think my wife like his work better. But, he is good. I did this piece using winsor Newton professional oil paint, on 18"x24"x2". I stretch this canvas myself using a gallery wrap. 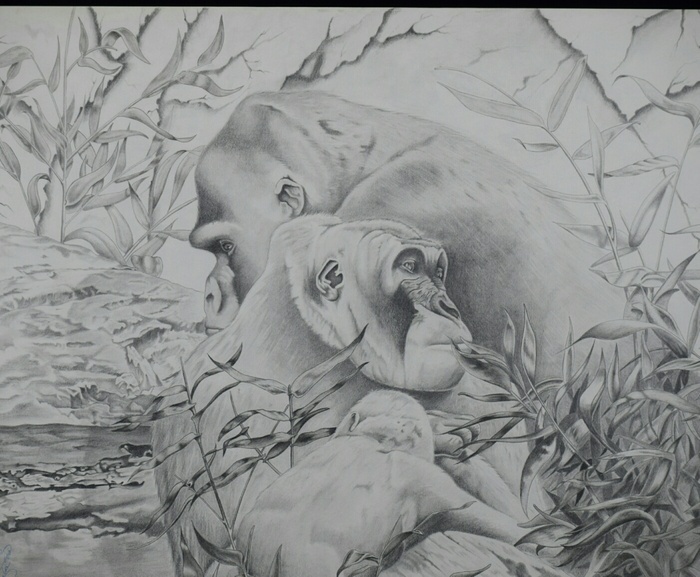 This is a piece i of a family of gorilla at Asheboro Zoo. It was amazing how they came and set down like they did. My wife took a picture of this and i drawed it. I changed the surroundings to make them look my free. On this piece i used Drewent graphite pencils on 400 series paper. The original is on 18"x24" paper. With the matting and frame its 24"x30"
This is a piece i did on a 24"x30"x2" frame. I used duck cotton canvas. 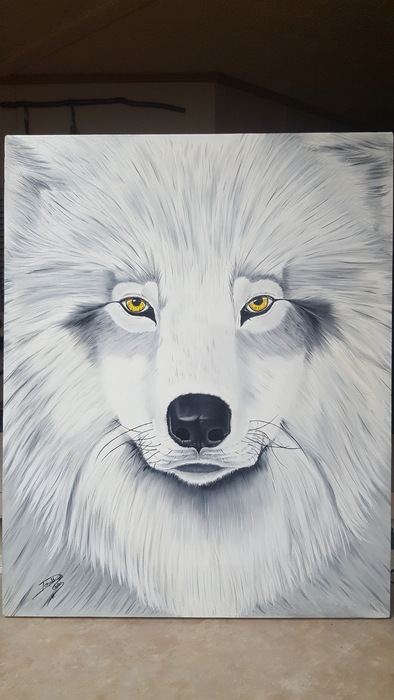 Its of a face of a grey wolf. I want to focus just on the face in this piece. I used Winsor Newton, M.Graham and Gramblin professional oil paints.